The teenage boys were killed on Friday after being struck by an Audi A5. A MAN HAS been charged over a car crash that killed three teenagers in London. Jaynesh Chudasama, aged 28, has been charged with three counts of causing death by dangerous driving. He is due to appear in custody at Uxbridge Magistrates Court later today. On Friday night, an Audi A5 collided with three boys who are believed to have been on the pavement at Shepiston Lane in London. Despite the efforts of police and ambulance crews, all three boys died at the scene. 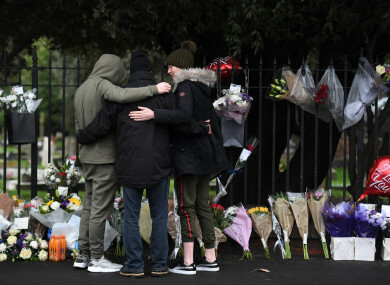 Whilst formal identification has yet to be completed, Metropolitan Police say they are confident the victims are 17-year-old Harry Louis Rice, 16-year-old George Toby Wilkinson, and 16-year-old Josh McGuinness. Yesterday evening, another man, aged 34, voluntarily attended a north London police station. He has now been arrested in connection with the incident and has been taken into custody for questioning. “Our thoughts and prayers are with family and many friends of three young men who have died in such tragic circumstances,” Hillingdon Borough Commander Colin Wingrove said. “Tributes continue to be laid at the scene and officers will be in and around the area providing a presence and also to make themselves available to anyone who does have information and wants to speak with police. There is understandably a lot of shock and grief in the local community. These three young men had their whole lives ahead of them. Enquiries into the incident are ongoing, according to Met Police. Email “Man charged with dangerous driving over crash that killed three London teenagers ”. Feedback on “Man charged with dangerous driving over crash that killed three London teenagers ”.